Editors' Picks: 20 of the Best Things to Do in Illinois! Illinois is "the Land of Lincoln" (as the license plate reads). It became the 21st state in 1818. The cities of Illinois reflect so much of American culture - from the gangland history of Chicago and its blues music, to Springfield, the original home of Abe Lincoln to farm towns like Moline. Known as the Prairie State, there are a ton of things to explore - but here are 20 of the coolest things to do in Illinois. Koi ponds, waterfalls, raked gravel, traditional Asian architectural structures and more - these are just some of the beautiful features of the award-winning Anderson Japanese Gardens in Rockford, one of the most authentic Japanese gardens in the country. Spending some time here is the antidote to the stresses of a hectic 21st century life. The original home (the only one he ever owned) of Abraham Lincoln and his family is open for tours in Springfield. It's been lovingly maintained, with many original pieces on display. A nice way to learn more about our 16th president. 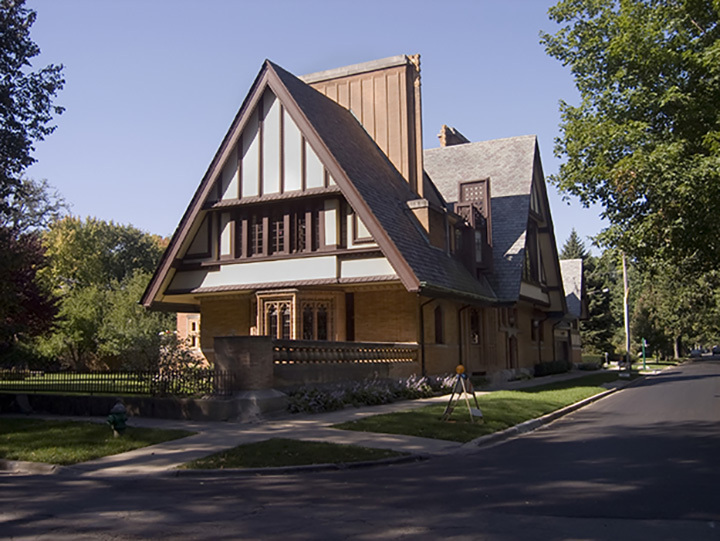 Oak Park is home to a huge assortment of Wright-designed homes and buildings, and is the place where he perfected much of his groundbreaking architectural style. There are 25 buildings and homes, designated as Historic Landmarks, and available for walking tours. With its many cities, it's easy to forget that Illinois was once pretty wild. This 2,000-acre park is home to bison, bear, elk, wolves and more. There's also a lovely butterfly garden and plenty of prairie wildflowers to take in. Back in the day, Chicago had a long, bloody history with gangsters. The Untouchables Tour is a fun way to revisit the days of Capone, Dillinger and more. You'll visit historic sites - and unlike many of their victims, walk away unscathed. It's one of the Windy City's iconic locations, right on the waterfront. There's something for everyone, from museums to restaurants to a Ferris wheel and special museum for the kids. This is the biggest prehistoric Indian settlement outside of Mexico. Explore 120 mounds, the tallest being the 100-foot high Monks Mound. Besides being a National Historic Landmark, it's also a UNESCO World Heritage Site. A life-size village recreation gives a sense of what it was like those thousands of years ago. Within the Shawnee National Forest lies this prime viewing spot for some of the most magnificent rock formations in the Midwest. Hikers and photographers will appreciate it. Greatly. Farming is synonymous with the Midwest - and John Deere is a huge part of that. At this free attraction, you can see all kinds of vintage work machines, and learn more about farming - its past and future. It looks like a plain old lake - but that's where it ends. Over the years, lots of interesting relics have been sunk into the lake - from an ambulance to statues of lions to a Boeing 727 from the movie "US Marshals." For this reason, it's one of the more fun places to dive. There are over a hundred miles of scenic routes in the area, perfect for leaf-peeping. While you're out and about, stop at any of dozens of historic villages and sites that dot the route. This replica of a 19th-century riverboat is a great way to explore the history along the Illinois River. There are options from a one to a five-day excursion, some which include a show by a Mark Twain interpreter. Nothing prettier than a bunch of colorful balloons lifting into the autumn skies. And there are some that glow in the dark after hours. Plus, it raises vital donations for local food pantries. At 110 stories, the Willis Tower is one of the tallest buildings in the Western Hemisphere. The Ledges are 10-by-10-foot glass compartments that jut out from the 103rd floor. Completely transparent, they give you the sense of hovering atop Chicago, with views of up to 50 miles. Are you up for it? There are 12 award-winning wineries dotting this 25-mile scenic drive. So you can end the day with a glass (or five) toasting the scenery - and crash in one of the many B&Bs along the way. The Field Museum in Chicago has so many things to recommend it - from the Hall of Gems to an Egyptian tomb and more. But it's also home to the biggest and most complete T-Rex ever found, aka "Sue." Step on up. Starved Rock State Park in Oglesby is popular year-round, but during the winter, ice climbers can do their thing in a big way. Yes, a partner is required, but the challenge is so worth it. They were the original bad a** explorers - and the Lewis and Clark Historic Site in Hartford marks their winter encampment at Camp Dubois, right before they headed off towards the Pacific Ocean. This wonderful exhibit gives a sense of what they had to endure as they pressed westward. Who doesn't love a sparkly holiday display? This festival brings dedicated volunteers into the mix who work for over a year to rehab floats and more, and make them super-festive (two-million lights!) for the coming year. During the winter months, the waters of the Mississippi attract a ton of bald eagles. You can get amazing up-close looks at these majestic birds via companies like Bald Eagle Safari with Bob Motz in Rock Island. He provides high-powered scopes that provide an up-close look at their eyes, talons and much more.